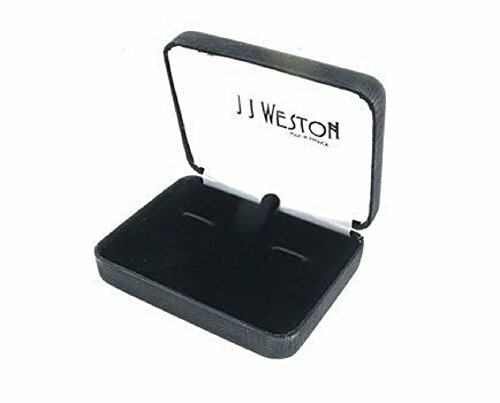 JJ Weston Black Enamel Tuxedo Cufflinks and Shirt Studs. Made in the USA. 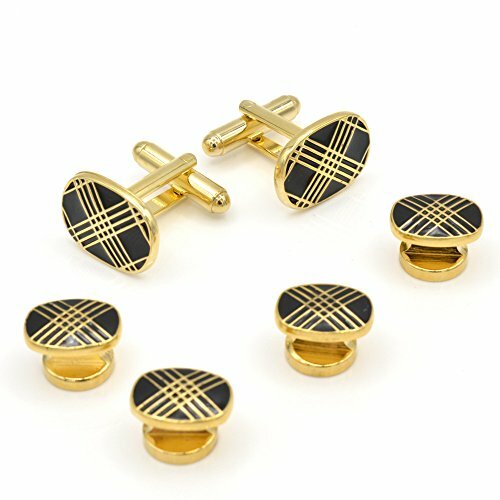 JJ Weston gold plated and black enamel crosshatch design tuxedo cufflinks and shirt studs formal set. The cufflinks measure 5/8" x 1/2" and the shirt studs measure 1/2" x 3/8". Presentation boxed. Made in the USA. If you have any questions about this product by JJ Weston, contact us by completing and submitting the form below. If you are looking for a specif part number, please include it with your message.